Joseph and Lillian (Berger) Burchell moved into the farmhouse during 1911 with two young daughters, Esther and Evelyn. Joe’s father, Tom was an early pioneer in Kearney County. He emigrated from Ireland in 1865 and homesteaded just five miles east. Alvin was born in the house in 1912 and was soon joined by four more sisters, Edna, Emma, Edith, and Elnore. 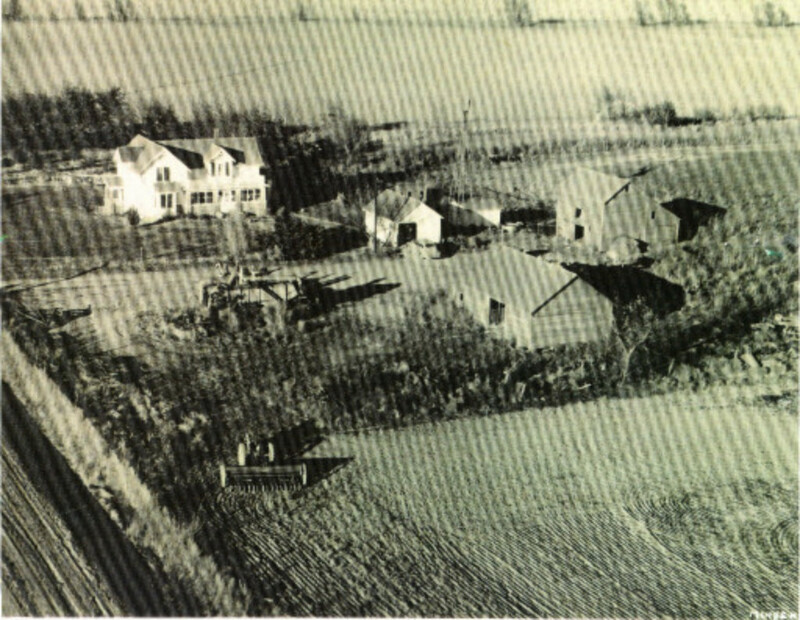 No one knows why his name didn’t begin with “E.” Joe bought the farm in 1915 and registered the name as White Hill Farm honoring the former owner, Mrs. Sarah White. In 1917, Joe and Lillian remodeled the 1886 house to add more space for their growing family. They also added electricity, well and soft running water, and inside toilets. Joe was a progressive farmer and community leader. Both Joe and Lillian were very religious. Alvin inherited the property when his parents died and brought his bride, former school teacher Marjorie Bishop, home. They raised six children in the house; Dennis, Robert, Linda, Bonnie, Kellee, and Colleen. The home place was a great place to grow-up. There were lots of chores, books, games, and places to play house or Indians and cowboys. All the children have married and live in Nebraska now. Linda was the only one to move away from Nebraska for a substantial period. 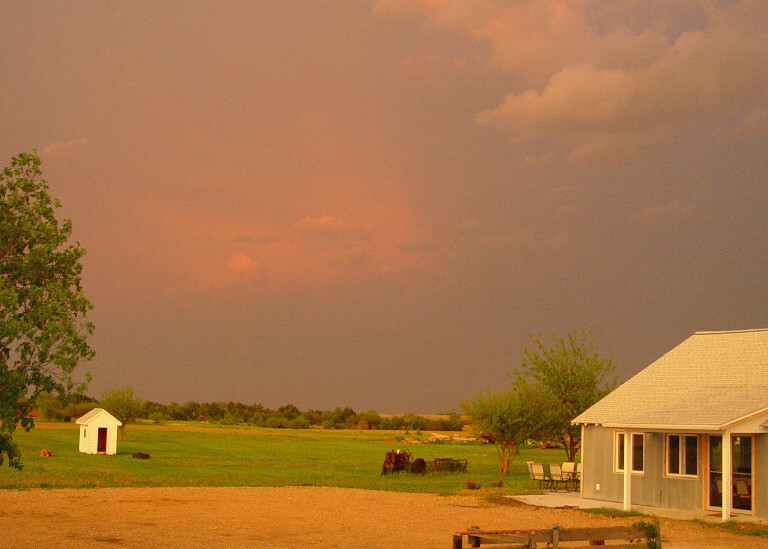 She and her husband Bob Ard purchased the acreage from Linda’s parents in 2001 with the intention of “doing something with the old place.” When they retired in 2006 from teaching at Del Mar College in Corpus Christi, Texas, they started the work in earnest. The Ards remodeled the barn built in 1954 into a 150-seat restaurant with a high tech Special Event Room. They dug a new pond in the same place where Lillian Burchell had her duck pond. Water generated by the heat pumps to cool and heat the restaurant is dumped into the new pond. The century old windmill was moved near the pond to water the Native American Pumpkin Patch and Tam’s Truck Garden. They also remodeled the farmhouse adding private baths and entrances to all the guest rooms. Bob and Linda restored the outside sleeping deck and bay windows, added separate innkeeper quarters, and furnished the house with family heirlooms. The Ards have tried to carry on the traditions of being forward-thinking but using the resources at hand. They hope you enjoy your visit as much as they enjoyed preparing for your visit. Remember you’re always family at the farm. The Grand Opening of the Farmhouse Inn was held July 2008. Bob and Linda Ard were named Entrepreneur of the Year in 2010 by the Minden Economic Development Council in recognition for professionalism, leadership and community involvement. In 2011 the Farmhouse Inn earned the Greener Nebraska Certification for its dedication to environmentally friendly business practices.